Looking for one of the best affordable tonearms? 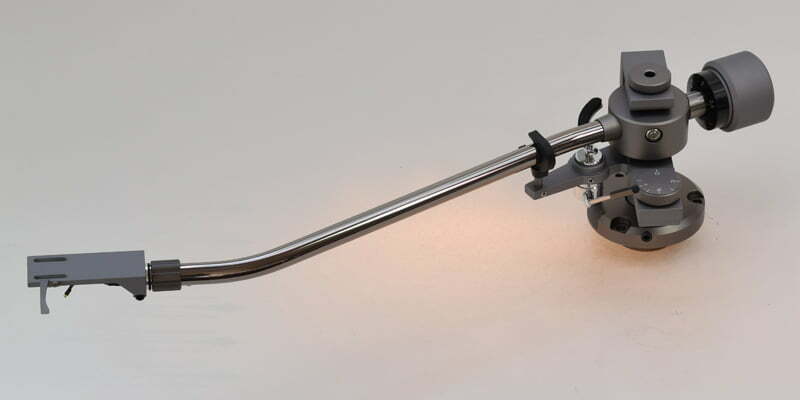 The Jelco SA-750D is a quality tonearm, at a sensible price, designed to fit a variety of turntables. UPDATE: the Jelco SA-750D appears to now be superceded by the TK-850S. The Jelco SA-750D has, in various forms, been used in a huge number of decks over the years. Jelco has also made and rebadged this great tonearm for many well-known manufacturers like Linn, Sumiko, Koetsu and Audioquest. Perhaps the highest-end current version of this tonearm is from Ortofon – the RS-309 – an up-spec’ed version of the SA-750L. The RS-309 sells for thousands of dollars, way more than the Jelco equivalent. I’ve worked on one of these Ortofon arms and it’s really not that far removed from the Jelco. Ortofon also sells the TA-110 tonearm, which appears to be just a re-badged SA-750D, the difference being that the Ortofon branded arm is 1450 Euro – ouch! You know a product is good when other manufacturers sell it under their own name. This is even more telling with a company as prestigious as Ortofon. The SA-750D is the standard 9-inch version of the arm. There are also the SA-750E and SA-750L versions. The E is 10 inches long and the L is 12 inches long. You should always choose the longest arm you can fit on your deck, as this minimises the tracking error and distortion. SA-750D, next to the SA-750LB, or long, black. Sounds rude but it isn’t, this is the length you would choose if a 12-inch arm would fit. There are of course other factors to consider, such as effective tonearm mass, which increases with length. 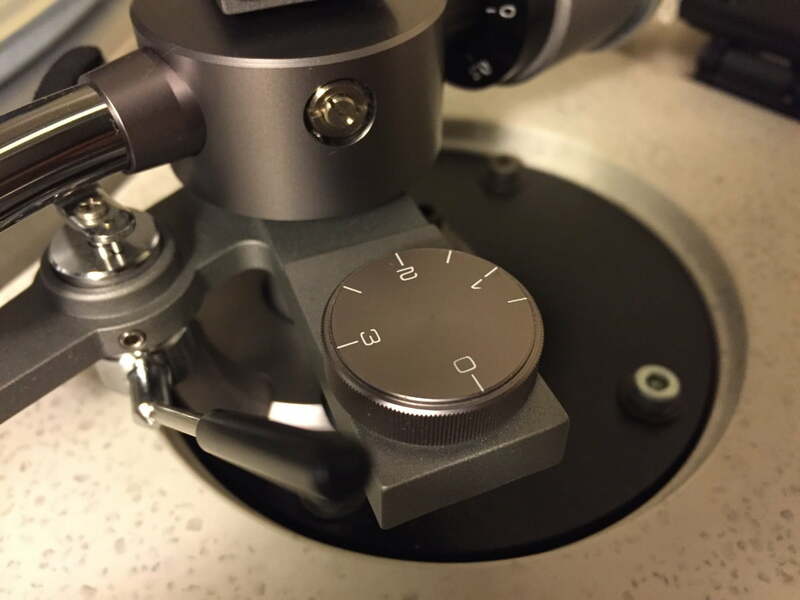 Perhaps the most important consideration is mounting distance or the distance between the tonearm pivot and the turntable spindle. This distance must match the distance specced for the tonearm. For the SA-750D, this is 215mm. For the SA-750E, this is 240mm and for the 750L, 290mm. Both the 9 and 10-inch versions of this arm qualify as medium-mass tonearms. The mass of this tonearm (between 15g and 20g, depending on what you read) translates to an arm that suits medium compliance cartridges. 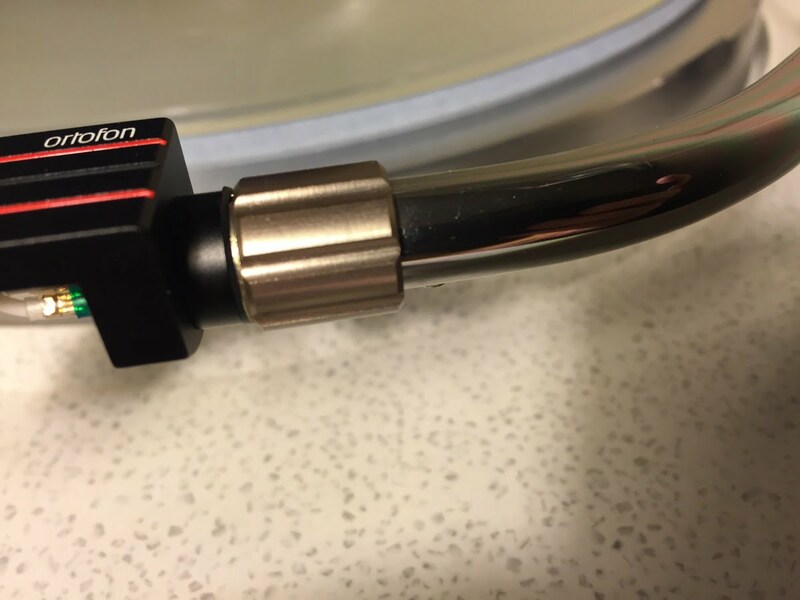 The cartridge compliance element is very important and often misunderstood when matching tonearm and cartridge. 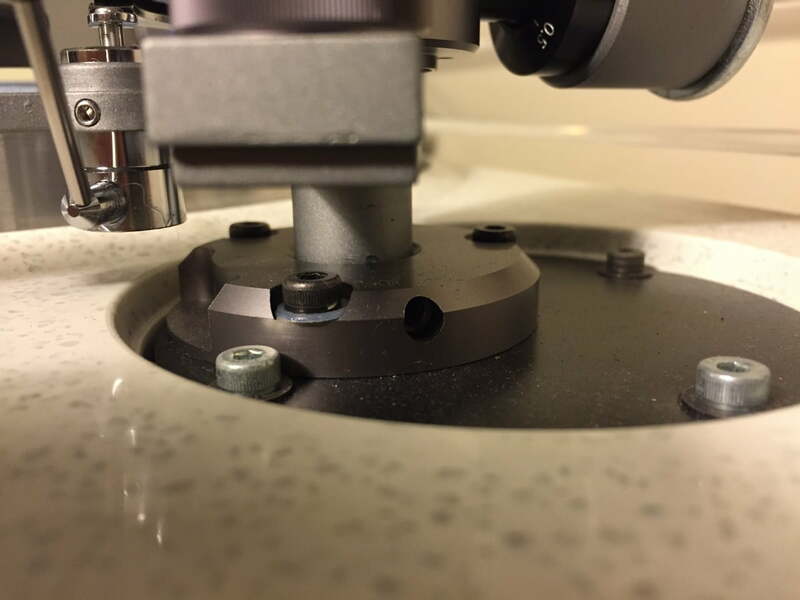 The compliance or ‘softness’ of the suspension that controls the cantilever becomes part of the mechanical cartridge/tonearm ‘system’ when the two are bolted together. 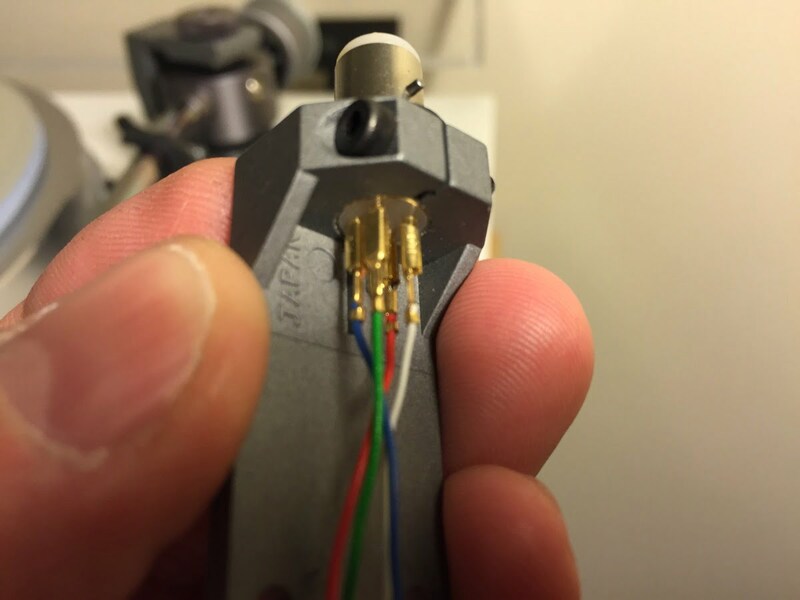 This spring element, combined with the mass of the cartridge/tonearm system, has a resonant frequency. Bass notes will excite the arm and cart to vibrate at that resonant frequency. When this frequency falls outside a range of around 8 – 12Hz, three or four things can happen, all bad. For example, the arm can wobble from side to side so violently that a really stiff cantilever can snap clean off. Thankfully there are lots of good resonance calculators out there that need just two data-points: cartridge compliance and total arm/cartridge mass. Get this calculation right and the combination will play bass properly and behave mechanically. The SA-750D comes very well packaged, in foam inserts, within a sturdy cardboard outer. For your money, you receive a quality Jelco HS-25 magnesium headshell and a very nice set of OFC copper Litz headshell wires. You also receive a sturdy acrylic arm mounting template, but you will have to shell out extra for a tonearm cable. I opted for the very nice Jelco JAC-502 tonearm cable, to suit my rig. 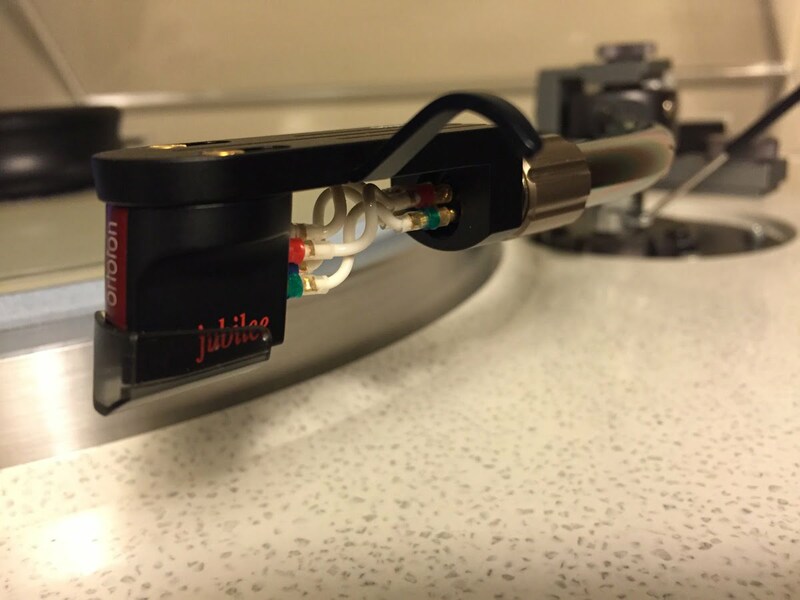 For the purposes of this review, I have my Ortofon MC Jubilee moving coil cartridge mounted in an Ortofon LH-6000 headshell, with SME Silver Litz headshell wires, mounted to the Jelco SA-750D. All of this is mounted to my wonderful Kenwood KD-600, with custom-made MDF arm mounting base. So how does the SA-750D sound? Very good in fact, with only a few things to note at the price. The arm sounds smooth, clean, well-rounded, full-bodied. It’s never lean or thin-sounding, all areas have similar weight and insight, with perhaps just a slight emphasis on the mid-bass. The arm exhibits low colouration, which is what one wants from a tonearm. Functionally the SA-750D is also excellent. You’ve got a dense tungsten counterweight that moves beautifully on the threaded end-shaft. The engraved, machined aluminium stylus pressure wheel is yet another example of Jelco’s meticulous attention to detail. The Jelco HS-25 magnesium headshell is a delight to use and of very high quality. In fact, I often supply these on their own as they are fantastic headshells for the money. That Jelco includes one in the price is icing on a tasty cake. This is a magnesium headshell so just don’t try to light it! 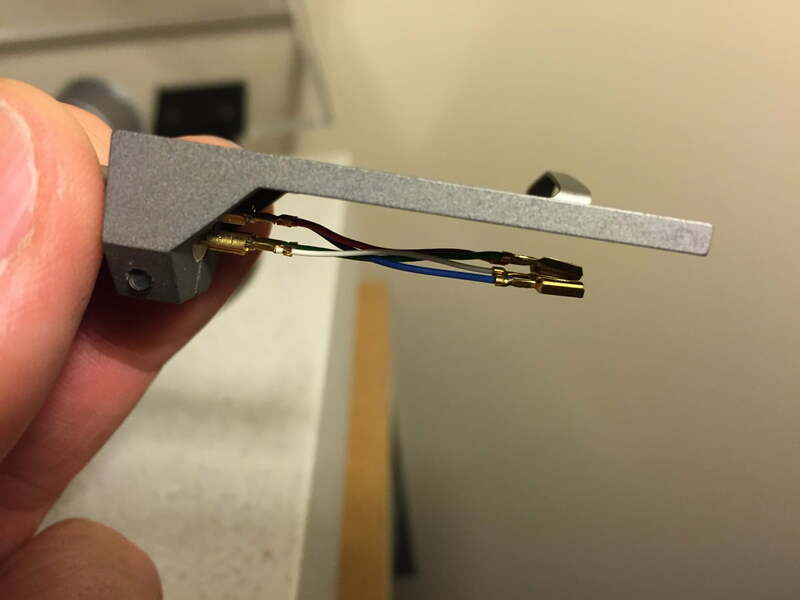 You’d be happy paying $100 for this headshell, yet it comes standard with this tonearm. Don’t hesitate to buy a Jelco SA-750D, E or L – you won’t regret it! The smooth and well-damped arm lift mechanism, anti-skate adjustment and counterweight. Note that everything is adjustable, including the arm rest height and arm lifter height. The anti-skate operates perfectly and has a wide 3-gram range, as does the standard included counterweight. 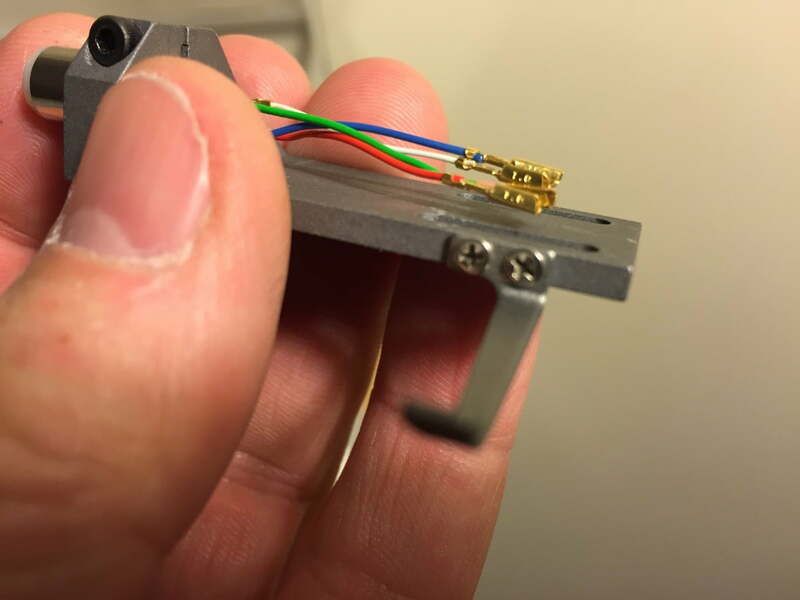 If you’re using a really heavy headshell/cartridge combination, you can opt for the heavier counterweight, obtainable from where you purchased the tonearm. It’s worth mentioning that the arm height adjustment works very well. Jelco uses a straightforward solution, a smooth steel shaft, clamped by a grub-screw. This method works well enough, due to the fine machining of all associated parts. Close-up of the knurled aluminium anti-skate vernier. Here you can just see the opening for the arm height adjustment grub-screw, on the base of the arm mount. Everything about this arm oozes Japanese quality, from the machining of the aluminium and stainless steel parts to the fit and finish of the headshell and that wonderful Jelco JAC-502 tonearm cable. Can the arm be improved? Sure, by re-wiring it, perhaps with silver Litz wire. You could maybe add a better headshell as I have done and some better headshell wires, but that’s about it. The SA-750D competes with others like the Rega RB-300 series of arms, the Project 9cc and Origin Live Onyx, but in many ways surpasses these products. Certainly, they all have something to offer, but The Jelco is just such a complete package for the online asking price of around AUD$700. 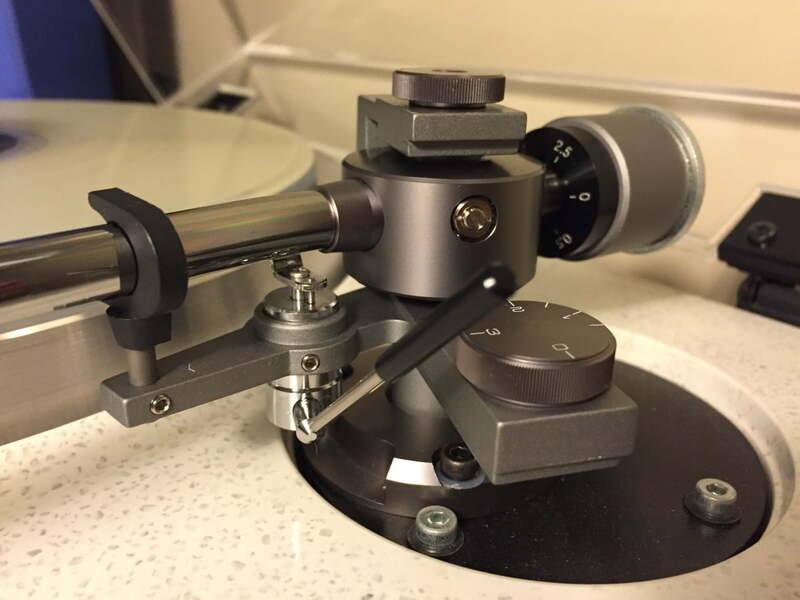 If you are in the market for a budget to mid-priced arm, or maybe an upgrade to an included tonearm on a Japanese or European deck, I really can’t think of a better quality tonearm for around a grand or just under. In short, you need to look no further than the Jelco SA-750D. 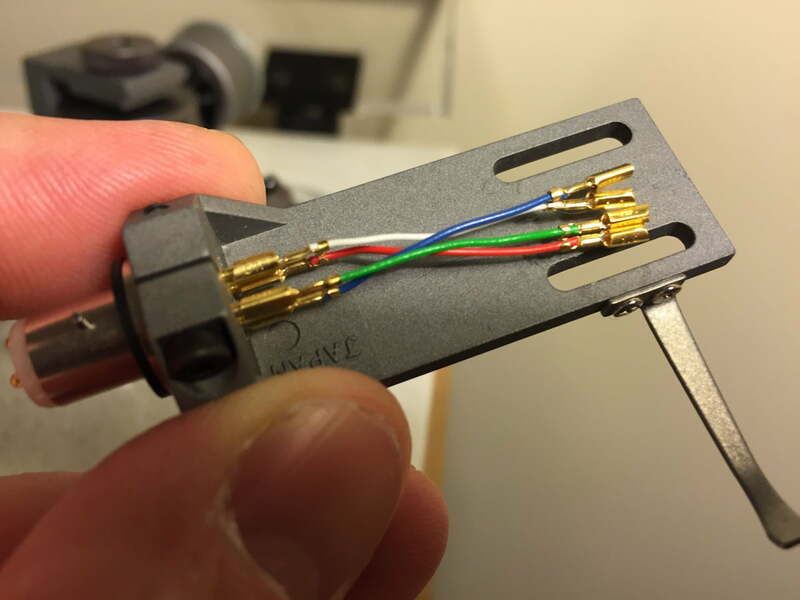 This is a nice view of the gorgeous SME silver headshell wires that connect my Ortofon MC Jubilee to the Jelco arm. This is a great setup, producing spectacular sound. The LH-6000 is a beautiful headshell, perfectly designed for this series of Ortofon cartridges. My counterweight, with added mass at the rear end, to compensate for the (at the time) heavy Ortofon LH-6000 head-shell and MC Jubilee cartridge combination. Knurled aluminium head-shell retainer ring. 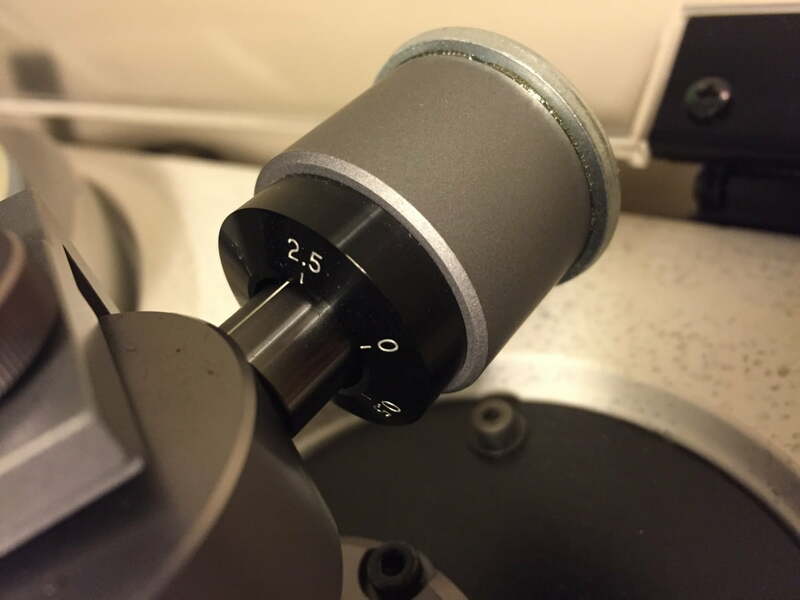 This is the little chamber that holds the silicone damping fluid, accessed by unscrewing the knurled lid on top. The damping fluid helps take the edge off a lively cart. It can also help reduce tracking misbehaviour with a non-optimal arm/cart combination. Hi, yes I custom-made this one, each arm has different geometry and mounting arrangement and my Kenwood came originally with an SME arm. I still have the original arm and mounting board, but made this one for the Jelco. It turns out that you could fit a Jelco 10 inch arm on this deck as well, there appears to be plenty of room for that. Regards, Mike. Thanks Mike, the Kenwood 500 with Jelco 750D i bought is mounted with what appears to be the original arm board. The hole for the Jelco is directly centered in the arm board. Yours appears in the photo to be off center. It would seem mine is not ‘correct’? I haven’t set the table up yet, I’m waiting on a cart. It seems I need to break out the band saw to get a proper board made. Hi Jon, I suggest measuring everything and then making a custom board for sure. I made mine from MDF. Hi Jon, they must have changed the geometry and dimensions of the deck vs my 650, because the pivot to spindle distance is spot on 214mm or whatever it was meant to be – I don’t have details nearby but this sounds correct. Very interesting, look forward to hearing more when you’ve mounted the arm! Hi Mike, I scored another Kenwood table on Ebay fairly cheaply, a 650 this time! Sadly, it arrived damaged due to the platter not being secured for shipping & thoroughly destroying the dustcover & compromising that Kenwood arm I was so looking forward to owning. I guess I’ll try to put one of these Jelcos on it instead. Would you be willing to give me some pointers if I get stuck? I could Paypal you some sort of fee for your time if need be. Hi Tim, great news on getting a 650, real shame about the damage though. I tell all my customers now to use an agent like Pack & Send, who will properly double-box and foam pack everything. People are really funny about packing and shipping. Yes, it costs a little more to pack something properly, but these are irreplaceable items we are talking about! Anyway, yes the Jelco arm will work, as will an SME, Rega or whatever else you decide to use. MDF is a good material to use for an arm-board, let me know how you go with it. Hi Tim, at the frequencies we are talking about and with the dimensions of the arm board, both materials are very rigid. MDF is more forgiving to work with and wood is often preferred for arm boards because of its self-damping properties. Aluminium has a tendency to ‘ring’ but either would be good in this case, as long as correct fasteners are used. Hi Tim, I used MDF of the same thickness as the original adapter, so 16mm from memory. For all fasteners, I use a local commercial fasteners supplier. You will no doubt have probably several similar such suppliers near you. Thanks Mike, I was afraid you’d say that. Being in the USA has complicated all of this immeasurably. Local hardware stores have nothing remotely close to those base screws. All their metric fasteners have a much finer thread pattern. And then of course our mdf sizes fail to approach the 16 mm size in that they’re limited to 3/4 inch (approx. 19mm) & 1/2 inch (approx 13 mm) I can see my future & it involves acquiring a wood planer or a new friend in the nearby area who has one. Thanks again for sharing all the info you have good sir! Hi Tim, you would find a similar situation here with hardware stores and fasteners, I use a commercial/industrial fastener supplier, perhaps there will one not too far away? In terms of the MDF though, good point. A thicknesser or plane might be your friend in this case!! Just wanted to thank you once more for all the advice on my KD 650. Sadly it’s off to a professional electronic serviceman now due to the fact that the only part that was working when the table arrived all smashed up by UPS, the platter turning mechanism, is now not working…sigh…the quartz lock lights up when I turn on the power switch but that’s it. The sensors do not light when I touch them nor does the motor turn at all. I checked the fuses & for the life can not begin to imagine what went wrong. This is turning into the most frustrating purchase of my audio life. Thank goodness my KD 600 with the Stax UA7/CF continues to function properly. And God bless you for turning me on to these awesome pieces of vintage performance gear in the 1st place. Very sorry to hear that Tim. Often, these sorts of issues are caused by the touch sensor becoming contaminated. Have you tried removing it, carefully washing it in mild detergent solution, then rinsing with isopropyl alcohol and thoroughly air drying it? Hi Mike, Yes I did try a good cleaning, several in fact but to no avail. I’m fairly sure the guy I sent it to will get it going again if possible, he did really good work on a KD-2055 that had a hum problem he diagnosed & corrected involving a worn motor mount. He also restored a Sanyo JCX 2600 with some new caps & recalibrated the tuner. The only bugaboo is that there is a considerable turnaround time for his work … 3 months or so last time … exacerbated by the fact that he’s picking up 2 other tables to service along with mine & won’t be returning them till all three are done…on the plus side of things he comes & gets our gear & returns it when repaired to a local cafe despite living over an hour away. He just loves the food there. Wow, sounds like you have found an excellent guy to repair her, with good taste in food! That’s great that he picks up and delivers, very helpful.